The news of Goa’s Chief Minister Manohar Parrikar attending all the meetings at his residence has become common and people are not ready to believe it because they do not see any kind of video or image released into the media. The opposition in the state is continuously demanding the release of the video of CM Parrikar but there is no response from the BJP office-bearers, and to combat this former Pernem MLA Mr. Jitendra Deshprabhu demanded the release of the video of Mr. Parrikar to make sure that he is alive and healthy. 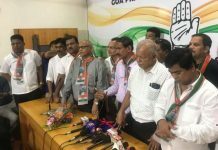 The statement of the Deshprabhu came following the claims of the BJP state president and Rajya Sabha Member Mr. Vinay Tendulkar that CM Parrikar would be calling the Prime Minister Narendra Modi to resolve the mining issue in the state. According to Deshprabhu, the BJP leaders are bluffing the mining stakeholders and that the mining is never going to resume. 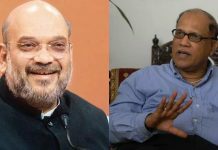 “The BJP is trying to “bluff” the mining stakeholders,” said the Congress Spokesperson Jitendra Deshprabhu adding that the BJP should release the video of Chief Minister Manohar Parrikar’s Telephonic conversation with Prime Minister Narendra Modi. “A video of the phone call will satisfy us,” the Congress leader told the TOI, while addressing a press conference at the party headquarters. According to Mr. Vinay Tendulkar, the ailing chief minister had assured MLAs that he would call Modi to seek his intervention for the immediate resumption of mining in the state. It seems the Legislators had warned Parrikar that it would be difficult for the BJP to win both the state’s Lok Sabha seats if the mining issue was not resolved quickly. Mr. Jitendra Deshprabhu, a former MLA from Pernem, has been repeatedly demanding the proof of Parrikar’s ability to govern the tiny state. 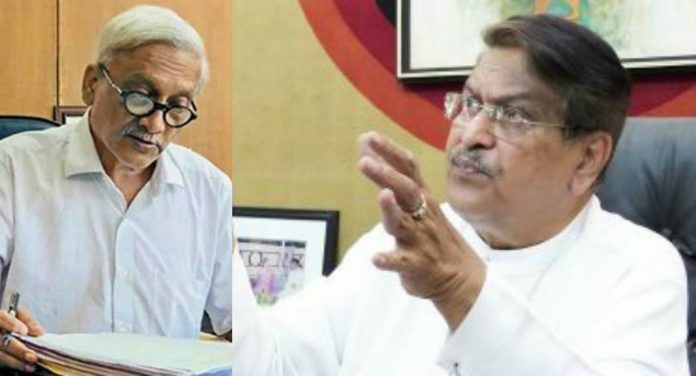 It may be recalled that he had earlier also demanded the state government should issue a medical bulletin on Parrikar or at least release photographic proof that Parrikar was meeting ministers and MLAs. “If such a video is published then we will believe that Parrikar is alive and healthy,” said Deshprabhu, and then went on to question why Parrikar was avoiding the press and the Congress MLAs if he was hale and hearty. It may be recalled that the recently held meeting at Parrikar’s resident was attended by the senior government officials and MLAs from the various constituencies, and the Murmagao MLA had told the media that the condition of Parrikar has improved substantially and that soon he will be attending the assembly sessions. What is your take on this? Why do you think that the BJP is not releasing the videos or images of Mr. Parrikar and why the media has been restricted to do the same. According to the reports, the present residence of Mr. Parrikar at Dona Paula had been turned into the Fortress and no media or even the opposition leaders are allowed to enter in there. What is the reason behind this? Where is the transparency?? 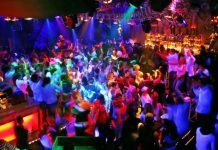 Next articleWhy India Become one of the Leading Gambling Countries in the World?